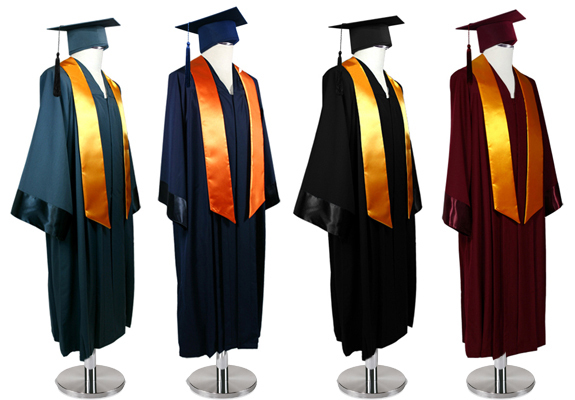 Rent a complete combination or an individual robe or cap for your graduation ceremony at affordable prices. Following consultation, our COLLEGE FASHION service team would be pleased to come to your location to supply, hand out and take back the gowns, ensuring that everything goes smoothly and allowing you to fully enjoy the festivities. Naturally, you will receive attractive discounts for orders of larger quantities. Please contact us for your request. 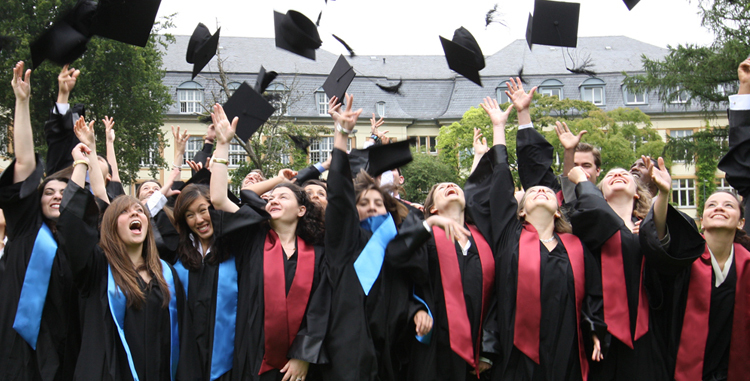 It is our pleasure to meet all your needs, including designing regalia to match the corporate design of your university. Our experienced team of designers will assist you with practical matters and make suggestions. All products can be individually customised as needed with your logo and initials. It would be our pleasure to advise you further! We offer our clients a top-quality photographic service. Our professional photographer will artfully capture your ceremony and transform it into a personal memento as well as documentation for the university. If desired, we will come to your location and in addition to supplying the wardrobe, we will give out and take back the combinations of items, ensuring everything goes smoothly – so that you can fully enjoy the celebration. 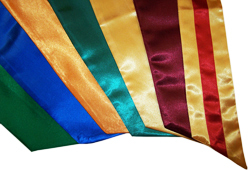 We would be pleased to affix name tags to your gowns and mortar boards, at no additional cost – this keeps everything in order while items are being given out and ensures everyone gets the right robe. What should I wear under the gown? Women usually wear a white or light, solid-coloured blouse with black pants or a skirt. Men generally choose a white or light, solid-coloured shirt and tie. 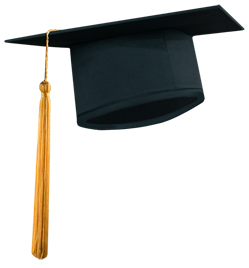 In North America, the tassel is usually worn to the right before graduation, then moved over to the left after the wearer receives the diploma. The tassel is always worn on the left side for graduation photographs everywhere in the world!